Sniffles, coughs, and fevers oh my. It seems like the flu season gets increasingly worse with each passing year, which is why you can never be too prepared for when the inevitable happens to you. Preparing beforehand can help you not only get better faster, but it can also prevent you from getting sick again in the future. 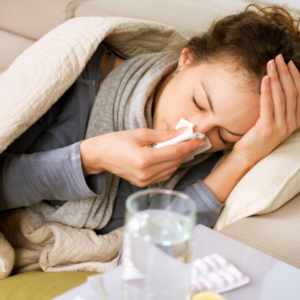 At GMP Medical, we understand how serious the flu is and why flu prevention is not only recommended but necessary as well. We’ve highlighted four different ways to prepare for flu season. Getting the flu vaccination each year is the first and most important precautionary step you can take before the flu season is at its peak, which is usually around December. The flu shot is one of the best and most effective ways to prevent the flu. Although its effectiveness varies from season to season, it will significantly decrease the severity and longevity of the flu if you do come down with the virus. If you are unsure where to get a flu shot, any pharmacies will offer the flu shot at a low-cost or with a coupon, or you can get the flu shot at your next doctor’s appointment. In the unfortunate event that you do get the flu, you will neither feel well enough nor be advised to go to the store to pick up medications. Stocking up on over-the-counter drugs and other cold and flu season essentials before getting sick is crucial for quickly improving your health. Products like fever reducers, tea, saline drops, decongestants, soup, and cough drops are just some of the things you should keep in your flu season survival kit. Colds and the flu virus are transferable via air droplets when someone carrying the virus either coughs or sneezes. Because of this, hand washing and disinfecting your house and office are essential to avoiding the flu. While you don’t need to sanitize every inch of your home, cleaning heavily touched items— doorknobs, remotes, computers, phones— can help prevent the spread of germs. In addition to disinfecting your work and office, thorough hand washing is the next best thing to do. Washing your hands for at least 20 seconds is a great way to ensure you are not spreading more germs. Last, but not least, a healthy diet and exercise routine can boost your immune system and help you fight off any virus or cold that you might come in contact with. If you’re wondering how to prevent the flu, keeping your body in peak performance can help flush out any unhealthy toxins in your body. On the contrary, if you feel like you are getting sick, then rest is a useful way to help fight off any infections. In addition to rest, ample hydration, like that offered by IV therapy, can help you get better faster. A combination of all exercise, rest, and hydration are all helpful in cold and flu season prevention. 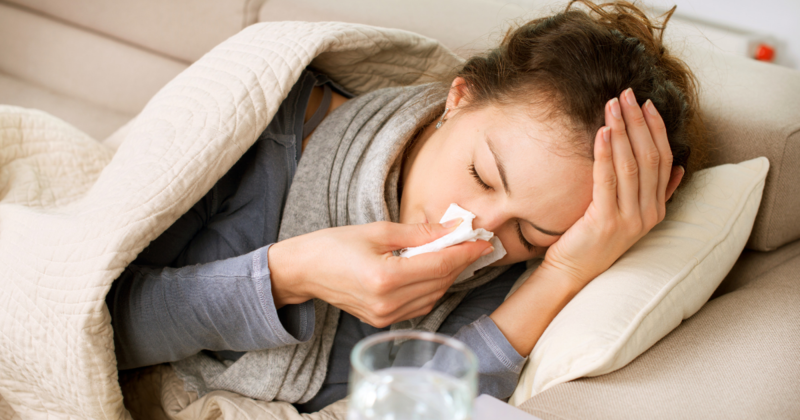 As the peak of flu season approaches, make sure you are taking all of the precautions possible. Hydration, the flu shot, and rigorous hand washing are just some of the ways that you can avoid getting sick this season. If you or someone in your family is showing flu-like symptoms, contact our South Florida doctor’s office at 1-305-823-2433 so that you can feel better sooner.